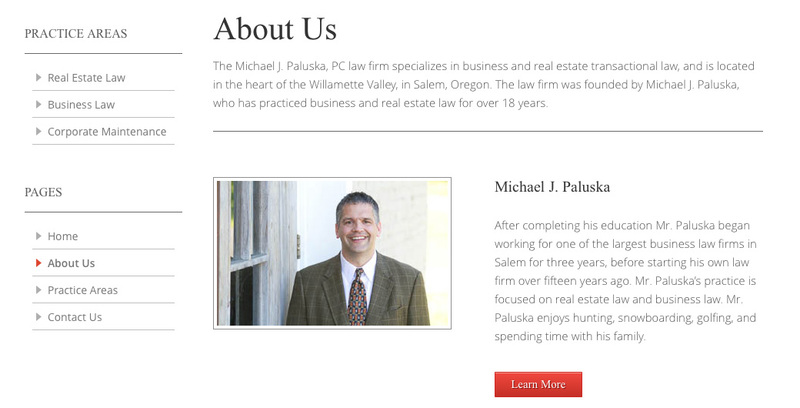 Paluska PC is a law firm that came to us with a website that the owner had created. 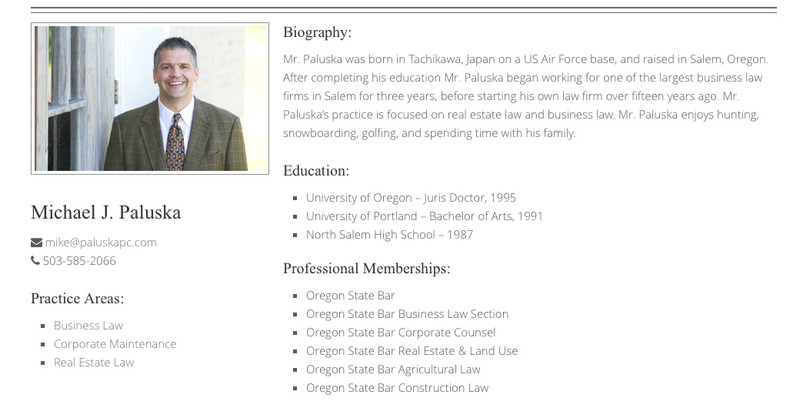 Since the owner is also a family member of Daniel Paluska, we knew that wasn’t going to last for long. 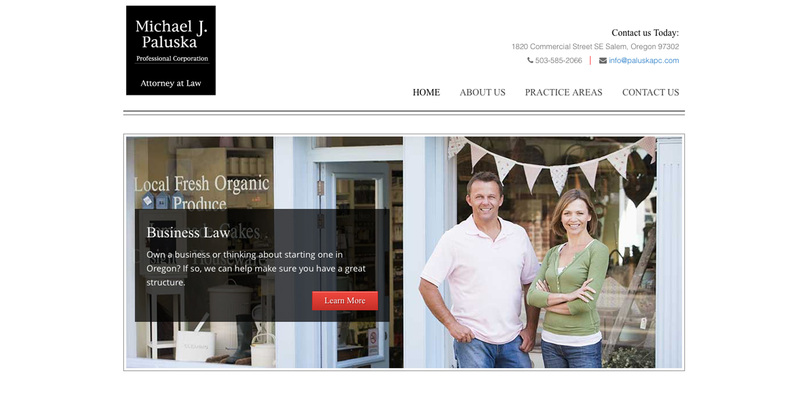 So after a few meetings, we came up with a plan and to work on the website and also increase the rankings of the site. 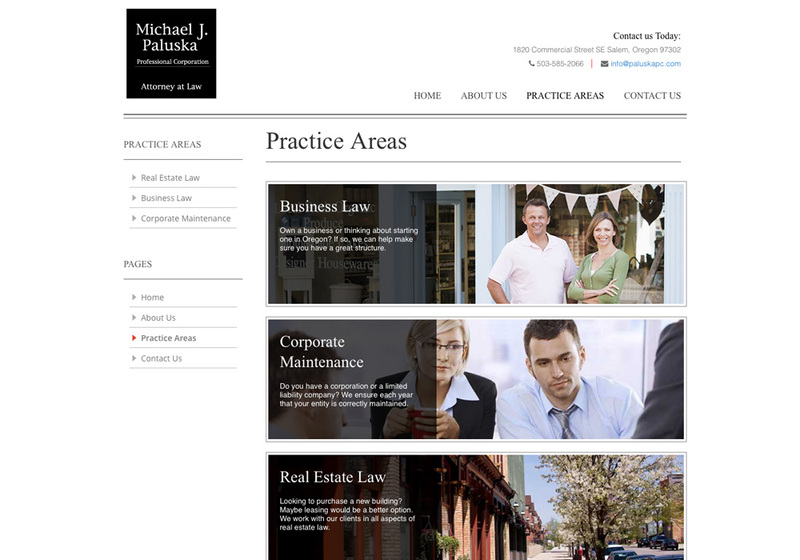 Like most law firms, Paluska PC wanted a timeless and professional look to match how they conduct business. 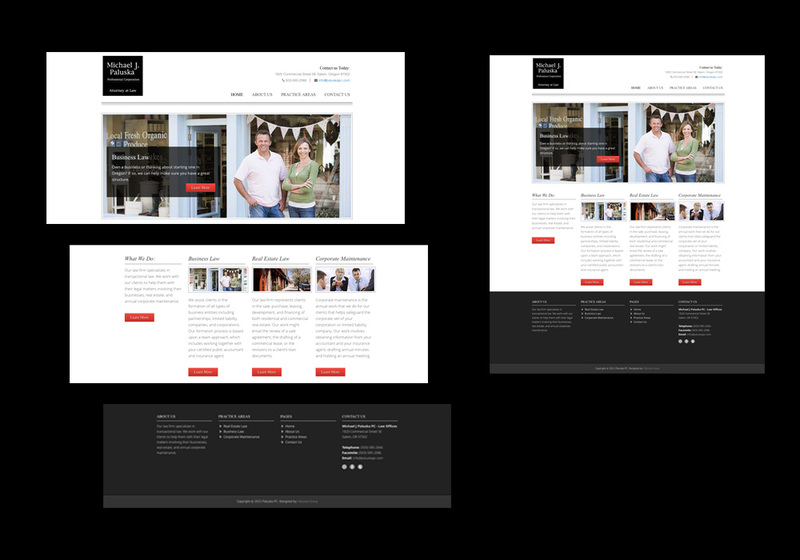 So going with the simple black and white logo, we used thin black lines and a classic layout to create a beautiful website. 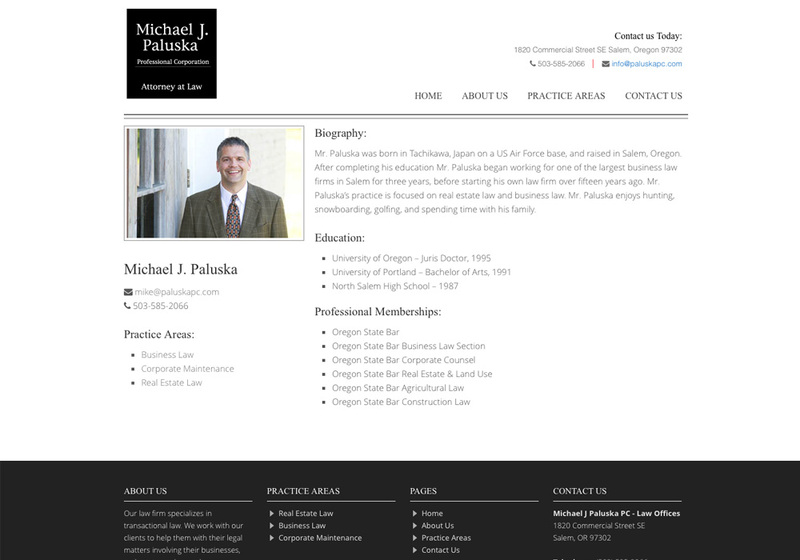 The Paluska PC really wanted to focus on the three main areas of their practice. 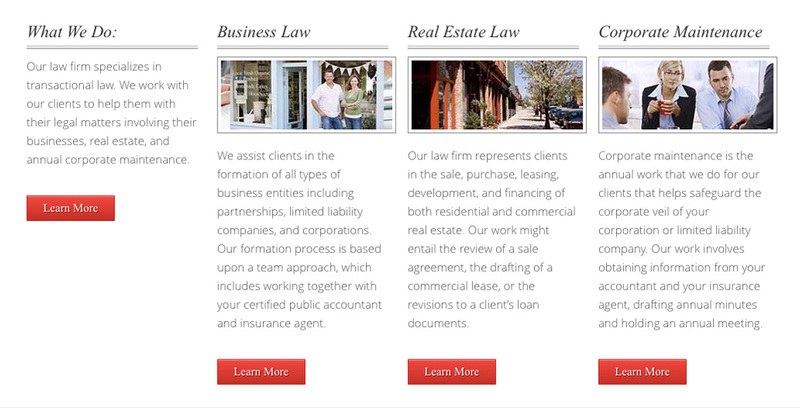 In the past, it was unclear exactly what the law firm did and the website helped clear that up. 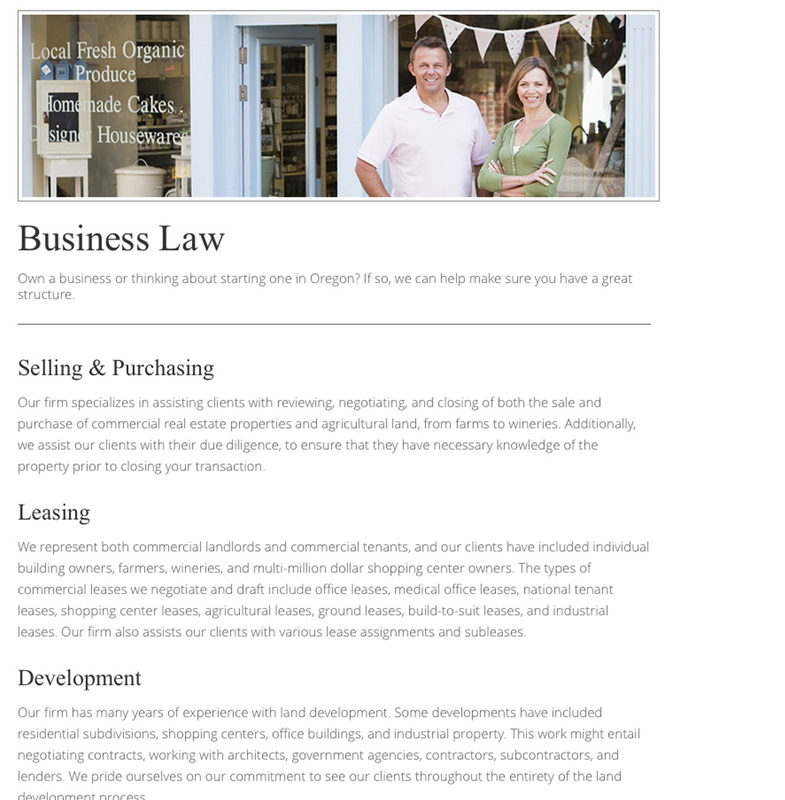 Placing a spotlight on the lawyer. 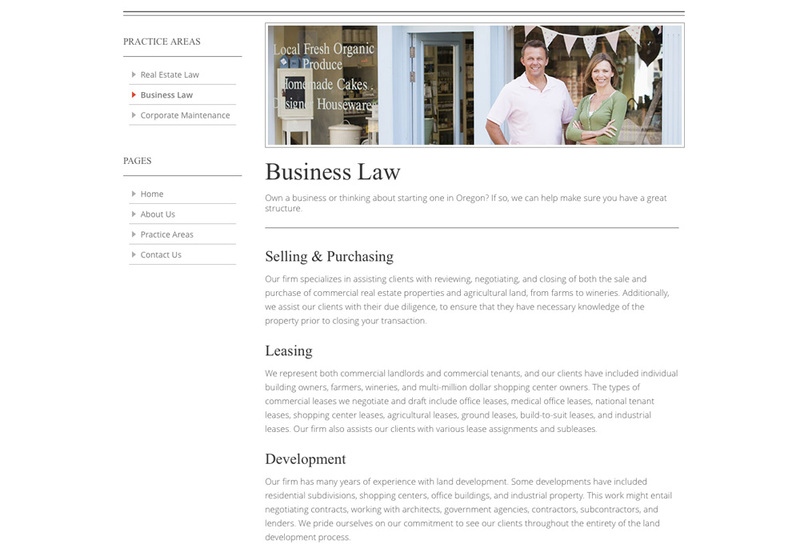 We found that most visitors to the site wanted to learn more about the lawyer and the original site did not show this at all. 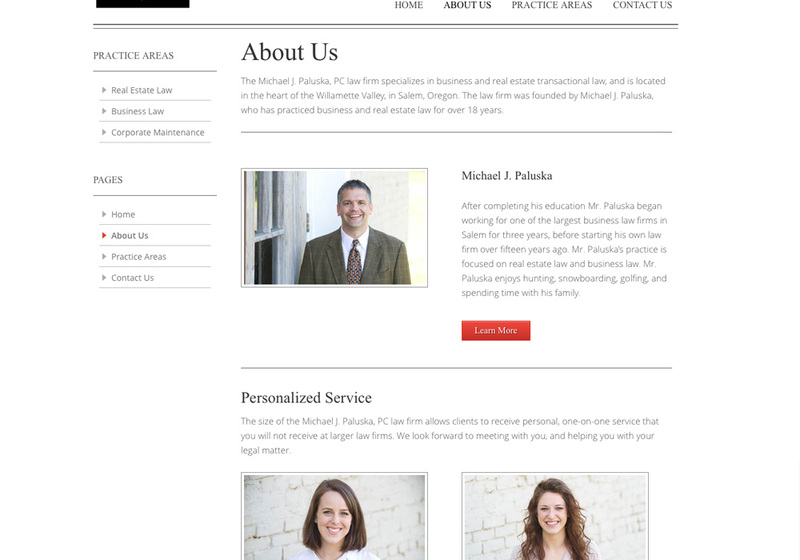 So we made sure to have links throughout the site to show his accolades and experience.